As a busy retailer, you don’t always have time to read through trend reports, or check up on the latest news. 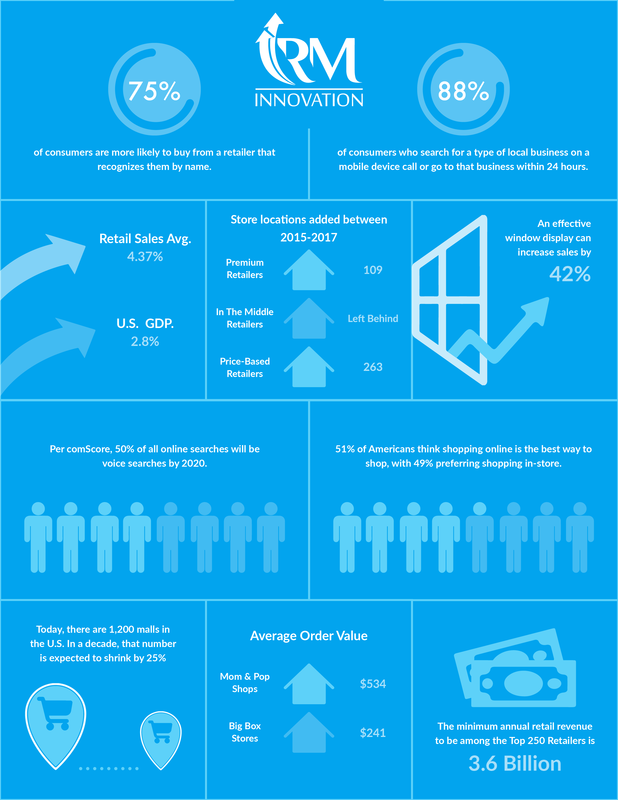 That’s why we put together this Infograph– to give you a quick overview on the stats retailers need (or want) to know. These are relevant no matter what industry you’re in– From home furnishings to apparel, to machinery, and beyond. A divide is growing between two types of retailers; According to Deloitte Consulting, premium retailers added 109 store locations between 2015-2017, price-based retailers added 263 stores. The “in the middle” retailers are being left behind. Per comScore, 50% of all online searches will be voice searches by 2020.